When a high capacity safe working load is needed. With its high hoisting capacity of 660 lbs. 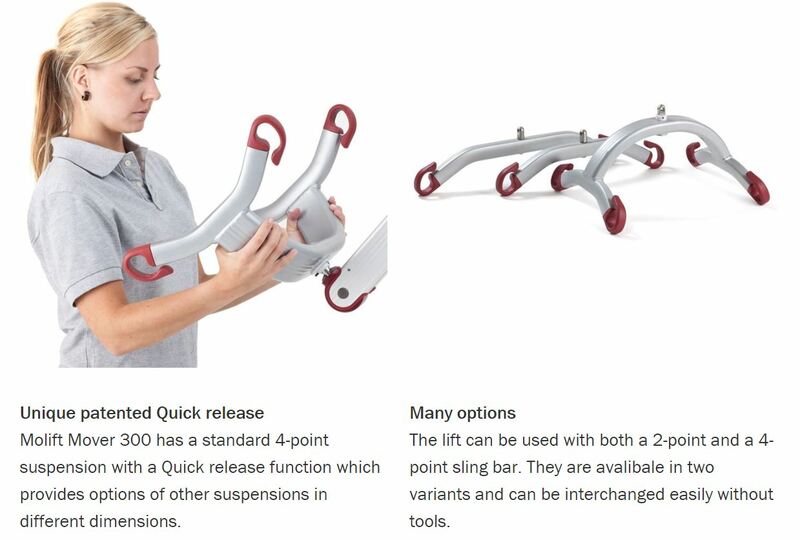 the Molift Mover 300 is the ideal solution for hospitals and care facilities with bariatric clients who have frequent and everyday moving and handling needs. With a total device weight of only 90 lbs. the Mover 300 is the lightest in its category. The unique construction and wheel positioning provides excellent maneuverability. The Mover 300 hoists easily from the floor, reaching down to 15” at the lowest. Excellent maximum hoisting height at 70” provides good free hoisting space and possibility for gait training. The hoist is also equipped with an environmentally friendly NiMh-battery. NOTE: Slings must be purchased separately. Click Here for slings. 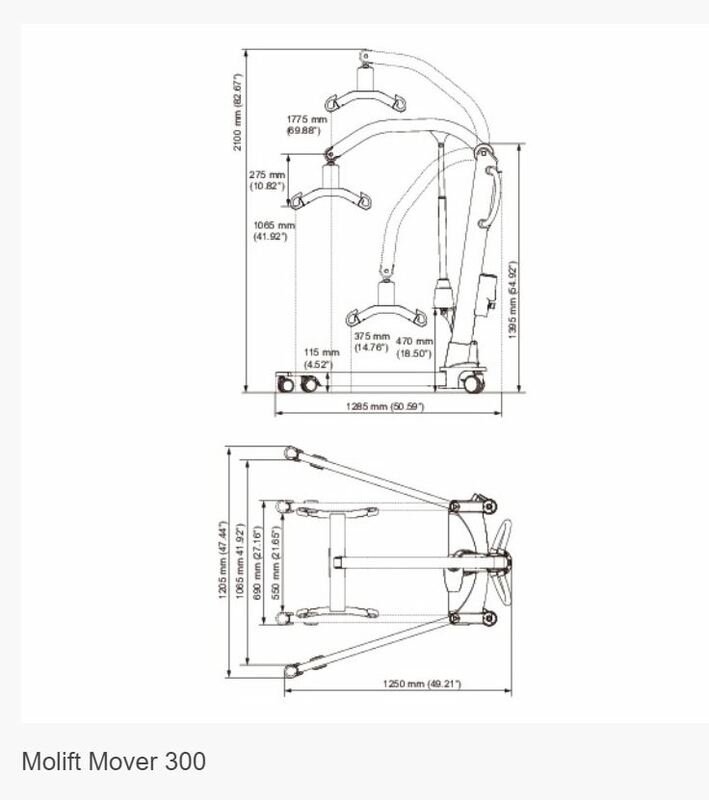 Width With Legs Open: 42"
Hoisting Height: 15" to 70"
Maximum User Weight: 660 lbs.